Very casual indeed, I like your shorts and your last post. Omg Dee so many cute things!!!! Can't wait to see you wear the peplum dress. I'm in love with the jewelry and nails. 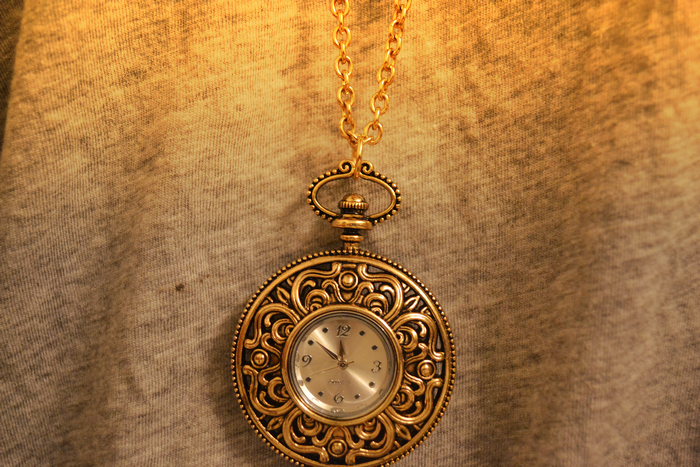 I really like the clock necklace! 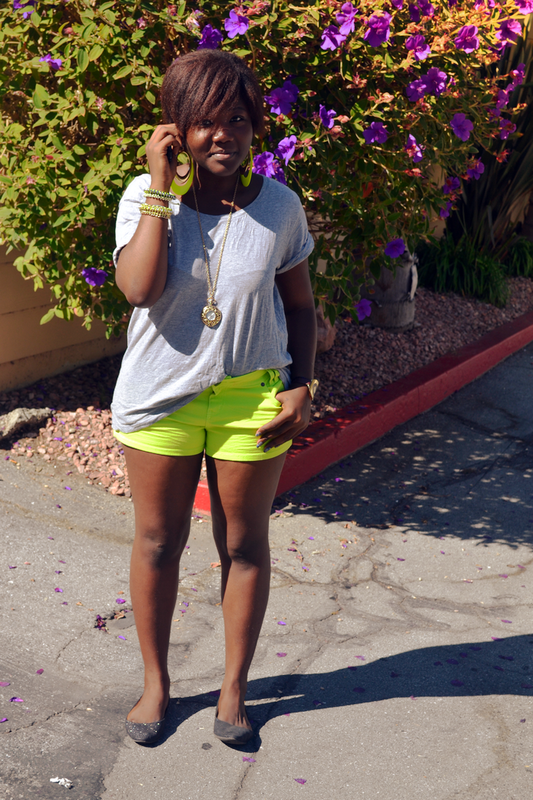 Cute neon shorts! Loving your necklace and hand candies. Happy birthday in advance honey! I love your shorts and hair. coup de coeur pour cette tenue ! le short les bijoux ! j'aime tout !